ALMOST exactly a year after self-congratulatingly celebrating the centenary of women winning the right to vote, Parliament last week told the 49 per cent of female participants in the 2016 EU Referendum who voted to Leave that their votes didn’t count. However, mindful as always of the vital importance of gender-equality, it simultaneously did the same to Leave-voting men. Britain’s fabled ‘Cradle of Democracy’ in effect withdrew the franchise from 17.4million people for having had the temerity to vote in a way not to its liking. For an institution whose lineage can be traced back 804 years to Magna Carta, Parliament’s descent from consulting the people to dismissing their response has taken less than four years. It’s worth recalling some of the major stages in its decline. In June 2015, Parliament voted by a majority of 544 votes to 53 to hold the EU Referendum, rightly recognising that such an important constitutional question could be decided only by the electorate. On best estimates, in June 2016 Britain voted to leave the European Union by 406 parliamentary constituencies to 242. It voted to leave the European Union by 263 voting areas to 119, and by 9 regions to 3. Conservative-held constituencies in 2016 voted to leave by 247 to 80. Labour-held constituencies in 2016 voted to leave by 148 to 84. In contrast, among 2016 MPs, Remain was the preferred option by 486 to 160. In February 2017, MPs voted by 498 votes to 114 to trigger Article 50. At the 2017 General Election, approximately 85 per cent of votes were cast for parties pledging in their manifestos fully to implement the Referendum result. Yet Parliament also moved quickly to signal its intent to dilute, frustrate or preferably overturn the Referendum result. Just take the example of Select Committee chairs. In October 2016, it elected the fiercely pro-Remain Hilary Benn as chair of the Brexit Department Select Committee, in preference to pro-Leave Kate Hoey. At the same time, it elected the pro-Remain and open-borders/free-movement enthusiast Yvette Cooper as head of the Home Affairs Select Committee. After the 2017 General Election, it appointed arch-Remainer and Osborne coat-tailer Nicky Morgan to the chairmanship of the Treasury Select Committee. Those three appointments in particular could almost have been designed to ensure that the sidelining and use as camouflage by Number Ten for May’s secret Chequers Deal from Day One did not emerge until early July 2018; that Home Office preparations under arch-Remainer Amber Rudd to devise and prepare more robust immigration controls post-Brexit perhaps received either more opposition, or less rigorous scrutiny, than might have been appropriate, and that the arch-Remainer Chancellor Philip Hammond would not be too closely challenged, either on any refusal to allocate funds and resources to contingency preparations for No-Deal, or excessively gloomy economic forecasts for almost any Brexit other than May’s Remain-by-Stealth, Brexit-in-Name-Only ‘Withdrawal’ Agreement. That was just the start. Space constraints prevent a full account, but most TCW readers will recall how week by week, month by month, over the past two years or so, both Houses of Parliament have come to insert themselves more and more into diluting or frustrating the Brexit process and wresting not only the means, but the Brexit decision itself, back from the electorate whose decision it sought, but did not approve of. Coming to a head last week, on Tuesday 12 March MPs voted by 391 votes to 242 to reject May’s (non)-‘revised’ Withdrawal Agreement and minimally-‘clarified’ Political Declaration. From many of the speeches made during the debate, especially from the Labour benches and the recently defected ex-‘Conservative’ TIG-gers, it was hard to avoid the conclusion that even this softest-of-soft-Brexits was too much for some. Last Wednesday, 13 March, following that defeat, May led for the Government on a Commons motion to rule out No-Deal, thus not only directly contradicting everything she has consistently asserted for the last two and a half years, but in effect pulling the rug from under her own feet in any remaining negotiations. She granted her MPs a free vote on that No-Deal motion, not out of any respect for individual conscience or democracy, but solely to allow herself to get away with voting against her own Government’s policy, but then three-line-whipped it. After the defeat of an amendment for the Malthouse Compromise Plan B by 374 votes to 164, it being clear that, with the anti-delay ERG complement probably amounting to 90-100 at most, the 210 majority clearly included a considerable number of ‘Conservative’ unreconstructed Remainers hoping for a long, Brexit-destroying deferment, the substantive motion, to prevent the UK ever leaving the EU without a Withdrawal Agreement in any circumstances, was approved by 321 votes to 278. It’s an accepted part of our unwritten constitution that, irrespective of three-line-whip or free vote, the principle of Cabinet collective responsibility still applies. Yet arch-Remainer Cabinet members Rudd, Gauke, Clark and Mundell abstained with no consequences. On Thursday 14 March, although there were defeats for two Labour amendments, the main motion for a delay to Brexit, for a short period via finally approving May’s exit deal on the third attempt by tomorrow, Wednesday 20 March, or for a longer period should that not be possible, was approved by 412 votes to 202. 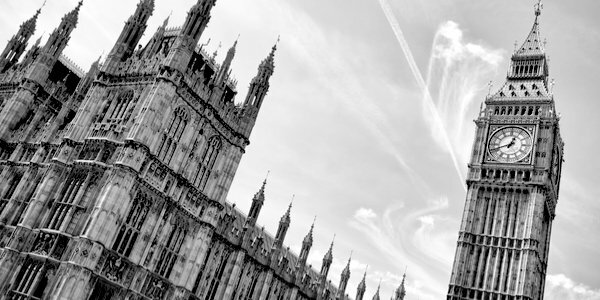 In the space of three days, therefore, the Remainer-dominated House of Commons has voted against leaving the EU even on May’s ultra-soft Brexit deal; against leaving the EU on No-Deal, and in favour of extending – or in many individual cases, preferably revoking – Article 50, to place the entire Brexit process in uncertain suspended animation. It has been made quite clear that there is in reality no Leave option which can command a majority in a House of Commons determined not to allow one. Contrast that with recent opinion polls which indicate that a majority of the public expressing a preference do not support May or her deal, would prefer to leave with No-Deal, and are opposed to an Article 50 extension. Once again, the yawning chasm that now exists between the voting public and its MPs is exposed in unrelieved starkness. Last week will go down in history as the week our democracy was in effect terminated with extreme prejudice by anti-democratic Remainer MPs who think we are unfit to decide our own political future, despite having asked us to do precisely that.